Welcome to the forums, and thank you for sharing with us. I can totally see what looks like the top part of a face, it looks like forehead, eyes, and bridge of a nose. Pretty cool. It is a very interesting image and thank you for sharing it. It's a pleasure to meet you, Goatlegs! Welcome to Ghoststudy! I'm SpukiKitty. Been here since around 2006. I will remind you one thing about this site. 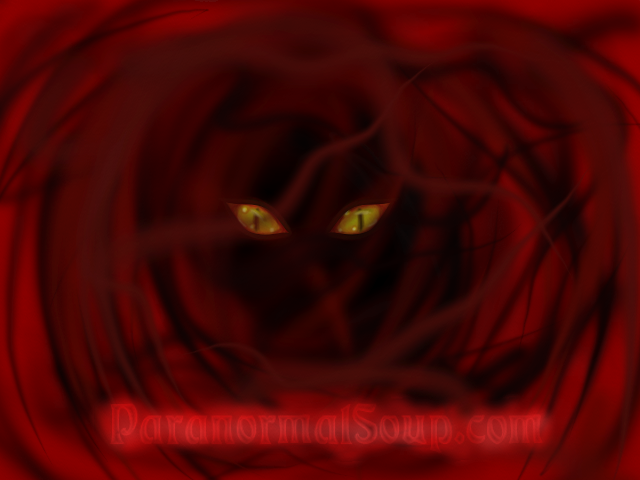 Although we do indeed feel that ghosts are real we still analyze each bit of evidence to try to rule-out non-paranormal causes first (Like camera artifacts, pareidolia, hoaxes, etc.). It's good to have a healthy bit of skepticism when looking at every bit of evidence of the paranormal/alien/cryptozoological/psychic/etc.....There's some folks out there who are hoaxers, delusional, etc. and we don't want to be fools. That said; We are nothing like the "James Randi" crowd who'll be out to debunk anything and refuse to even consider anything not-material valid. We are believers in stuff "out there" but we still try to be balanced and cautious. Thus; To anyone new here, please do not be discouraged with us if you submit something and some or all of us may have a "mundane" explanation or theory. Edited by SpukiKitty, 04 February 2018 - 08:29 AM. You blinded me Kitty lol, I wasn't expecting the blue text. Edited by SpukiKitty, 04 February 2018 - 05:57 PM. Well said, thanks for posting that Spukikitty! Glad to make your acquaintance Goatlegs.